Hi guys! I'm back! I've not been posting the last two and half weeks as I slugged through some major color issues with my DSLR. It was so maddening! I could hardly bring myself to get online. Anyone else felt like that before? I finally broke down and sent the camera in for repair. I just got it back last night. A good sensor cleaning and a factory reset seem to have solved the mystery problem. I also got a new lens...it's my early Christmas present. I'm still learning how to shoot with it, so please bear with me as I figure out the aperture and lighting I should use. It just feels good to be back in business! 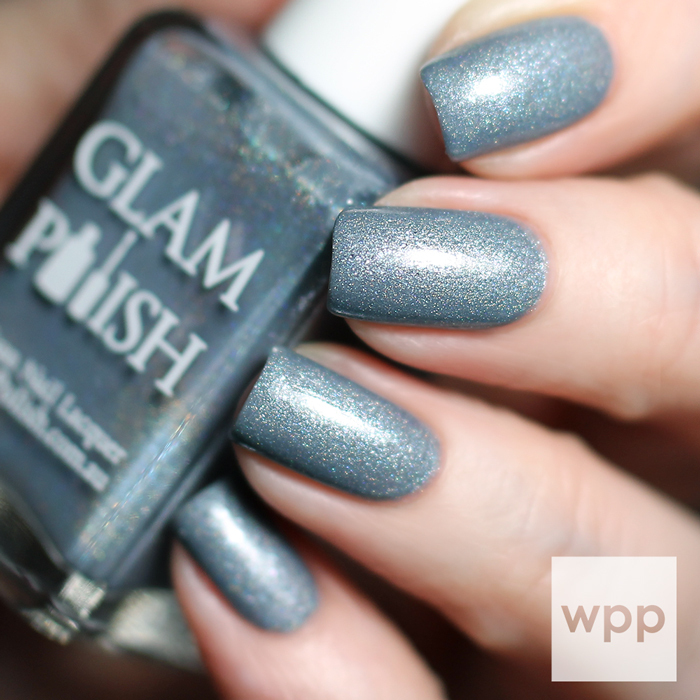 What a better collection to reboot the blog than the GLAM Polish Limited Edition Mid-Winters Dream Collection. GLAM polish founder, Rachel, has been so patient with me through this whole camera debacle (so thank you, Rachel!) This collection's nine icy winter-inspired shades are available now. As soon as I opened the package, my daughter declared this was her fave Winter collection yet. The pastel palette includes holo shimmer and microglitter finishes, as well as three polishes featuring 12K white gold leaf! I've used GLAM Polish's new topcoat, Magic Shine Top Coat, on all swatches. I'll start with my favorites, three beautiful, dense holo microglitters in clear bases. All build to absolute full coverage in just two coats. Due to the heavy mica pigment used, these polishes tend to separate, but they're like new with a good shake. These are also great without topcoat - they have a slightly textured finish. First up is Below Zero, a stunning, icy blue. It's so clean looking. I love how it looks in this pic. Whirlwind is a pretty, medium lilac purple. And Polar Lights is a gorgeous teal green. I'm not a green polish fan, but this one is my most fav in this collection. The next three are shimmery, crelly bases accented with a touch of holo dust and 12K White Gold flakes. GLAM Polish recommends placing the bottle upside down for 5-10 minutes before use in order to free up any settled flakes. Vigorous shaking will break them up, so roll the bottles gently to mix. My swatches are all two coats. I did a thin first coat, followed by a thicker second coat where I focused on placement of the flakes. The white gold is really subtle, but a nice addition to the pretty bases. Blizzard is a medium, periwinkle purple. Frozen Heart is a bubblegum pink. I love this one! My camera had a hard time capturing the color. Hopefully with practice...I'll get there. In a Flurry is a medium teal blue. Last but not least, this collection includes three silver-shimmered, very fine, scattered holos. I love the delicate holo effect and creamy texture. I used two coats each for this bunch also. Arctic Freeze is a soft mint. Avalanche is a beautiful, dusty silver/purple crelly...it almost looks gray. That's what I love most about it. Frost Flower is a light peachy pink shade filled with silver glass flecks & shimmer. I don't love peach shades with my skin tone, but I thought Frost Flower looked nice on me. As I mentioned above, all swatches are finished with GLAM Polish's new, 5-free Magic Shine Top Coat. I haven't had a chance to test it over nail art yet, but the finish is super shiny and it dries relatively fast. 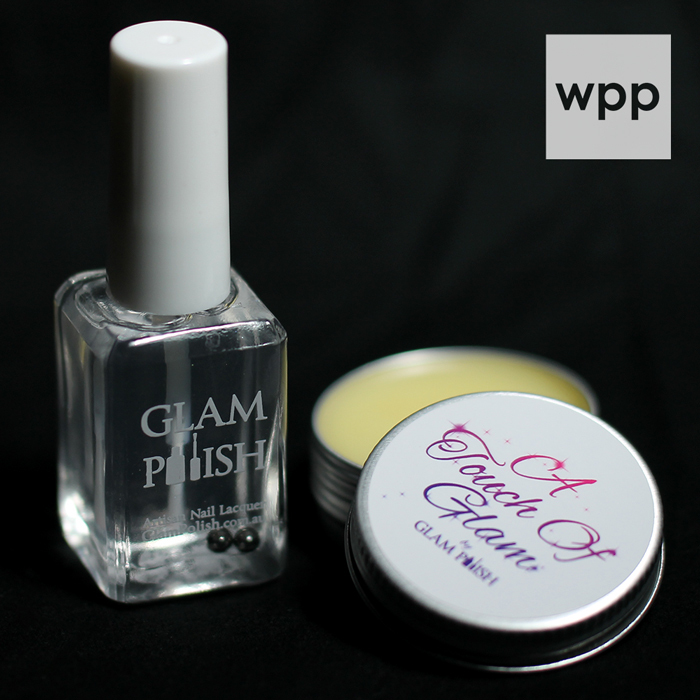 I also had the opportunity to try out GLAM Nourishing Cuticle Balm. It comes packaged in a screw top tin (12g) and in unscented and coconut crush varieties. I'm now keeping this in my purse. I love scented nail oils and balms, but sometimes they're just too fruity for the office - so it's nice to have this unscented option. Thanks again to Rachel for patiently waiting for this review. This collection is great because it includes different shades than what we typically see in Winter/Holiday releases...and yet it's perfect for the season. All three holo microglitters are must-haves, I think. The GLAM Polish Limited Edition Mid-Winters Dream Collection, Magic Shine Top Coat and Nourishing Cuticle Balm are available now. 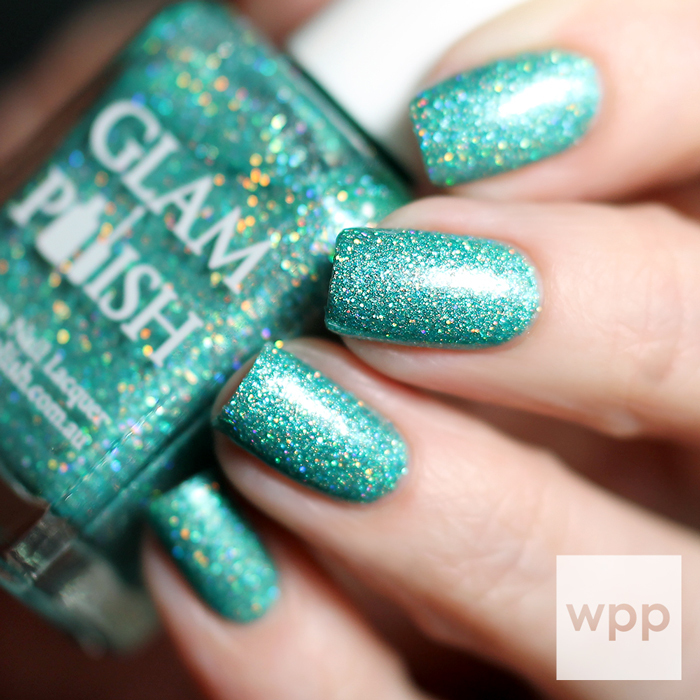 Visit www.glampolish.com.au for shipping to Australia and USA. Click here for a list of international stockists. 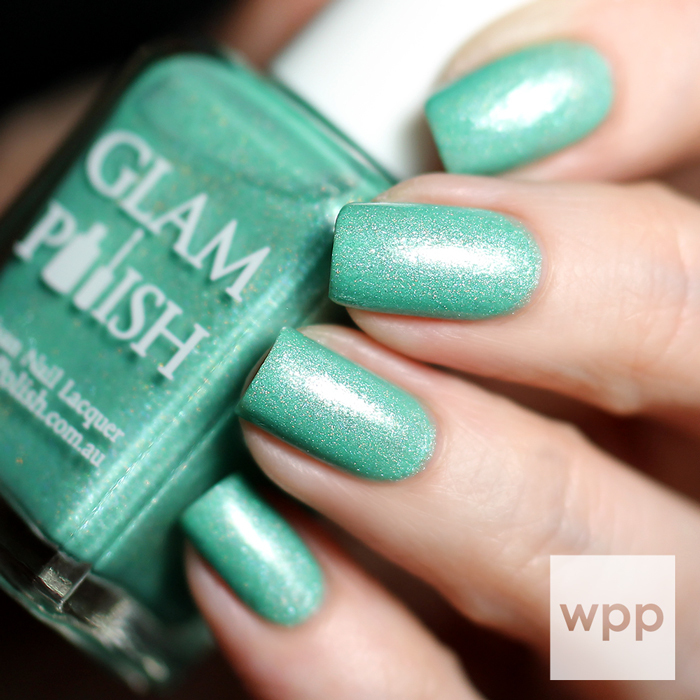 Stay current on news and promotions by following GLAM Polish on Facebook and Twitter too!